The Government is set to tackle a loophole in the law that allows businesses to advertise equipment used by fraudsters to clock cars. 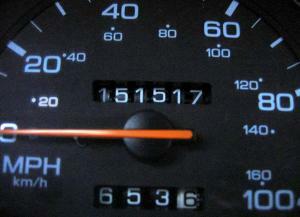 DIY kits to turn back the mileage on an odometer are advertised on the internet and companies can legally promote the service. It’s estimated that around 1.7 million cars on the UK’s roads have been clocked, according to Cap HPI which carries out history checks on used vehicles. Having a reputation for honesty and fair dealing is essential if you are selling used cars and want to retain and attract customers. It’s also important to have the right insurance policies in place to protect yourself and your clients, so ensure that you have a decent motor trade insurance to cover the business. It’s also worth considering demonstration insurance cover if you offer test drives to customers, which plays an essential part in the buying process. The dealership industry has lobbied the Government to act on the loophole that allows the clocking kits to be sold. Business Minister Anna Soubry has now promised to change the law so the fraudsters can no legally ‘correct’ a car’s mileage. Both HPI and the National Franchised Dealers Association say that occasions, when a car's mileage needs to be changed, are rare. However, unscrupulous businesses are more likely to use the practice to remove mileage from used cars to achieve a higher sales price. Neil Hodson from Cap HPI told AM-Online that clocking cars can lead to serious problems for drivers.